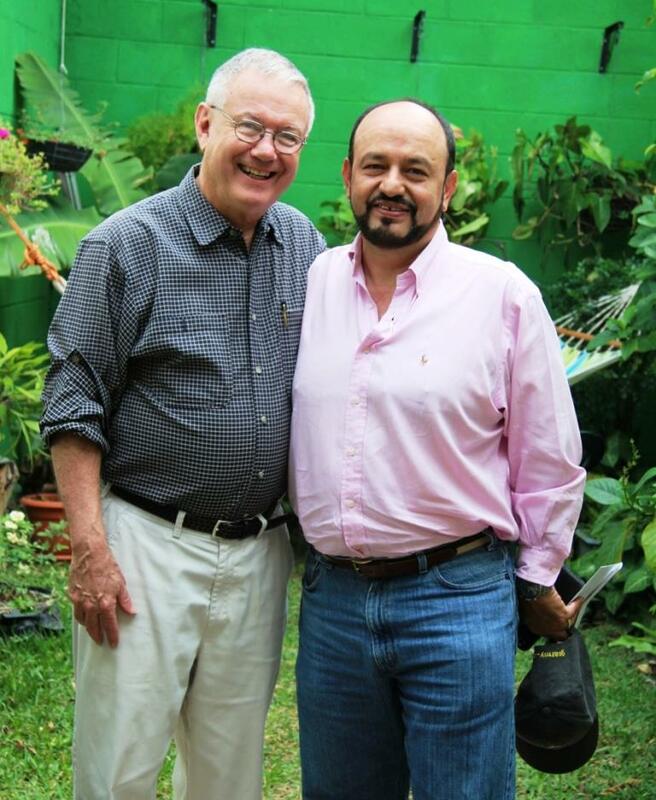 In past years we spent up to several weeks in El Salvador monitoring many projects and interviewing people but also to be in solidarity with our friends there. They lead difficult and challenging lives; it is important to support and validate their lives, their work, their dreams. It is hard to explain to North Americans that when we sit down with a Salvadoran friend to catch up, we may not leave the table for four hours. But that is indeed what happens on a daily basis with one friend after another after another after another. One of our new interviewees recently explained something that offered a bit of insight. “In the English language, we tend to ask a simple question using a subject/verb/object format such as ‘What’s new today?’ It is clear, direct, to the point. . . and TOTALLY INADEQUATE. (She smiles.) Whereas in Spanish, there is a lengthy, engaging, relationship-building time where an introductory paragraph using descriptive feelings builds up TO the request being made. Spanish is a more passionate language.” Others have told us this also. And because many of our friends speak only Spanish requiring our using translators (doubling the amount of time for each conversation), discussions are lengthy and arduous. 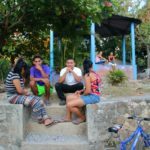 These conversations with our Salvadoran friends often guide our future course of action into specific ways we can extend support to them. Does this friend need a computer? Does his graduating daughter need scholarship help for university? Would another person be willing to use his or her skills and passion in a certain field by combining forces with an existing group in the country we are aware of that works on similar projects? Might this friend be interested in leading a delegation from the States who is interested in coming to his community? Is this friend aware of a group that could stretch the existing funding to provide a larger vision for his community? Does another friend need the name of a local engineer with experience in this area? Often we are serving as a bridge between a friend and other connections we have established over the years. Confidential or sensitive situations between personalities may require a neutral voice who has no interest in either side of the issue. Don returns to his pastor’s counseling role helping guide a distressed friend and allowing him to make a decision for himself. The fact that these friends have come to trust Don enough to bring concerns to his attention and ask advice speaks volumes. These kinds of conversations simply cannot happen via email; they require face-to-face time. Maria Trinidad is raising food, fish, poultry here to feed San Salvador’s homeless. One such situation recently began only at the end of an already LONG conversation, “I hope you won’t think less of me about something I wish to discuss with you but there is something that has been bothering me and I hope you can help me figure out a way to handle it,” this acquaintance tentatively began. After another 45 minutes or so, this young man’s demeanor changed from a furrowed brow and worrisome look to a relaxed and confident one. He had some options to consider including allying himself with those Salvadorans who will support whatever decision he makes, before formulating a plan when he left us. Time is a precious commodity we North Americans often compartmentalize for our own agendas and purposes. 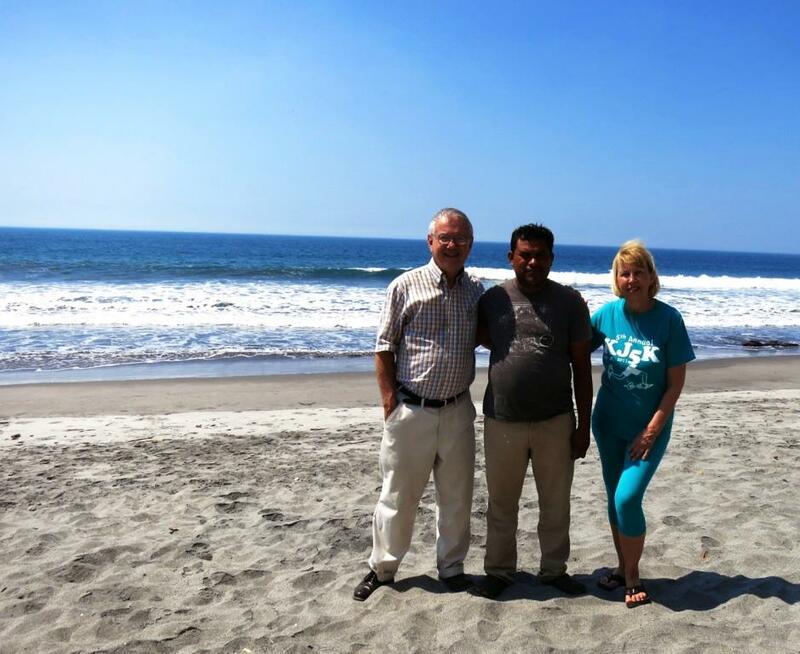 Setting aside a longer period of time in El Salvador allows us to relax our usual schedules and be more receptive to the needs of our Salvadoran friends. The nuances of the Spanish language require time. Respect and sensitivity for mutual sharing require time. Trust building requires time. We set aside time in our over-stuffed annual calendars for all these reasons. We feel it is well worth living by a Salvadoran clock to be able to accompany our friends in their lives on their time. As we each age and develop various health issues, the extended trips are becoming more problematic for us. 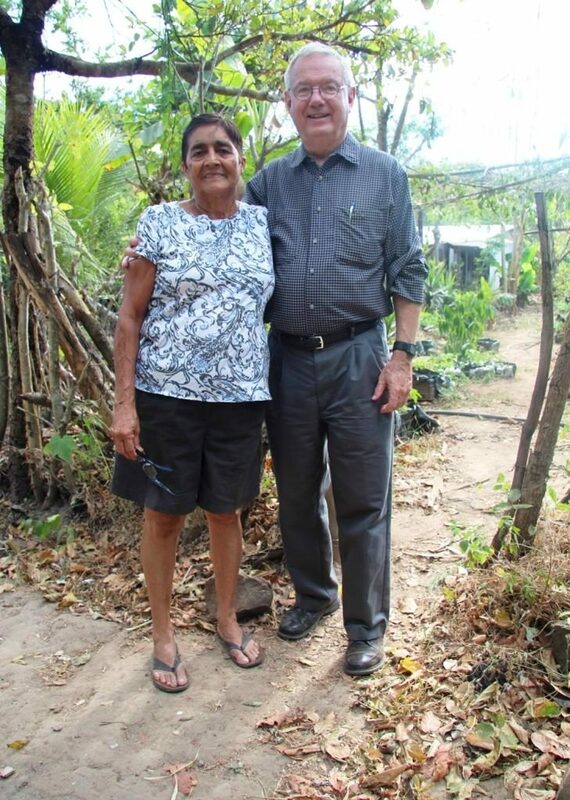 We are currently re-evaluating how to continue to make our visits the most meaningful and productive while meeting the needs and remaining in accompaniment with our Salvadoran friends.